The last 3 Day Startup event in Germany was held at RWTH Aachen in the Spring of 2011 (photos here). tamyca is a company that came out of that event. They’re really taking off, and a short post on them is below. 3 Day Startup is an event where students build startup companies. Our next events in Germany will be during the Spring 2011 semester. For more information, please visit www.3DayStartup.de or join our 3 Day Startup Germany Facebook group. 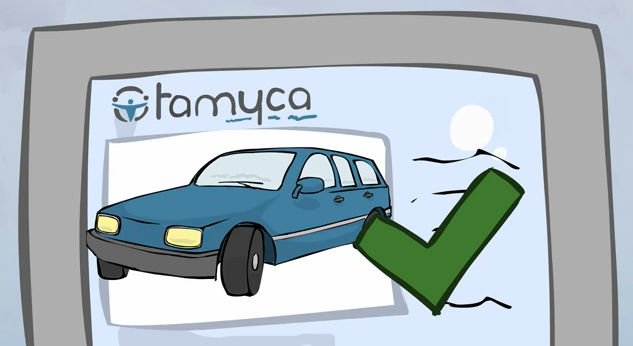 tamyca is Germany’s first peer-to-peer carsharing company. It allows car owners to rent their cars to neighbours, i.e. they can make money whenever they’re not using their vehicle. Others can then access these cars through an simple and easy-to-use online booking-system at www.tamyca.de. Because tamyca uses a huge untapped resource, prices on average are much, much lower than B2C rental/carsharing services. Also, cars are located nearby and not bound to business hours. It’s also environmental-friendly as less cars and less parking lots are needed. Oh and did we mention that every ride is fully insured? Please come and join us at http://www.facebook.com/tamyca.de and thank you for posting!